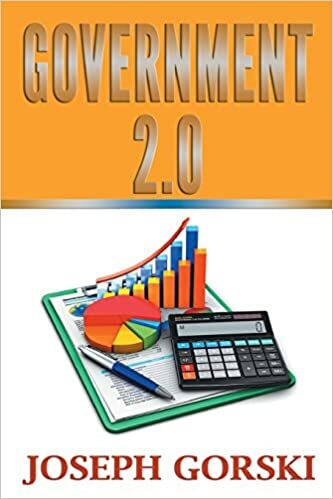 Government 2.0 explains in non-technical language how the banking system works, the media, the medical establishment and the government work against the common person. It explains how this model is falling apart. The changing attitudes of people toward those in power, and the new technology which is helping to empower people is discussed and explained. There is real hope that power of the people will overtake the power of the elites. It is important that the people understand this and embrace this change and don’t let themselves believe the fear mongering of the elites. US government power was possibly at an all-time high in the decade or so following the 9/11/01 attacks. Recently some cracks in the armor are forming. Some on the left and right side of the political spectrum are beginning to join forces and question this consolidation of power and abuse of power in Washington, D.C.
Joseph Gorski, the author of Government 2.0, has followed a less than typical path over his last 35 years of life in the USA. It started with a deep spiritual journey in 1982 which continues to this day. It leads to rejecting the established religions and political parties of the world without rejecting their core teachings of love, tolerance, and respect of our fellow human. This took him away from a normal career path, living in a city at times and in the country at times. Joseph came to believe that there is a central power in the universe that some people call God, source energy, or by many other names. Joseph graduated with a business administration BA degree from Rutgers-Newark College of Arts and Science in 1983. Gorski has some interesting opinions and valid points of view. Sounds very interesting and educational. Time for us all to rise up from our keyboards...no, to rise up AT our keyboards! Great post! This book sounds like a very interesting read! I look forward to checking out this book!